a|e updated to 2.1 - The fluorescence laboratory. 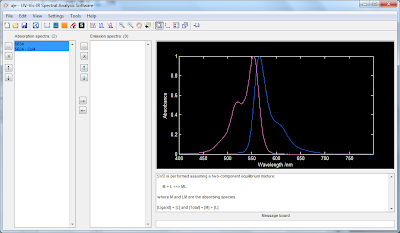 The spectral analysis software a|e has been updated to version 2.1. The new version has some new tools but mainly fixes a number of minor bugs introduced with version 2.0. 1. Go to an online database, such as fluorophore.org. 2. Pick your dye and select the Spectra tab. 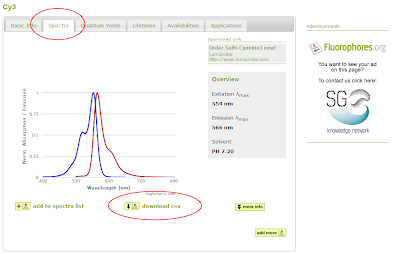 Then, right-click the download link and select "Copy link". 4. Insert the link address and press OK.
5. 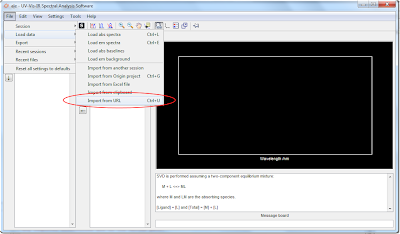 The data at the URL is added as new files in the software.